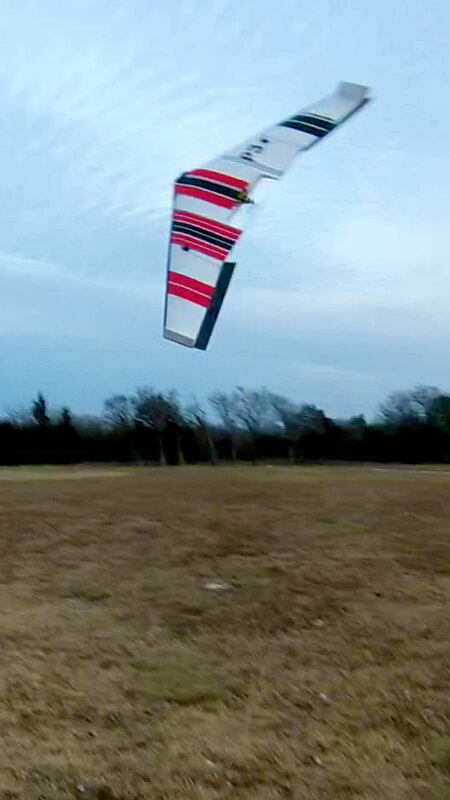 Temperatures finally climbed above freezing (barely) and I got in a quick flight with the Papa Divine before my freezing fingers drove me back inside. This entry was posted in Flying, Flying Wings, My Planes, R/C Planes, Scratch Built. Bookmark the permalink.